Kratom tea is arguably the most popular consumption method for this particular plant. That’s because it makes it easy to stick to one dose consistently and it doesn’t taste too bad either. If you’re interested in taking Kratom in tea form, then you’ve come to the right place. In this article, we’re going to take a closer look at Kratom tea and provide you with a few tried and tested tips on how to prepare it. 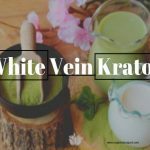 This article will be particularly helpful to beginners who are still new to this plant because we’re going to try and simplify the process of making Kratom tea for you. Our goal is to help you get the most out of this magical plant while putting very little effort into preparing it. Where is Kratom Sourced From? Will Kratom Use Affect Your Brain? Kratom tree is an evergreen plant that comes from Southeast Asia. Natives have been using Kratom for centuries because of its medicinal properties, and they mostly consumed it by drying the leaves, chewing them or brewing them into tea. When taken in low dosages, the Kratom tea has mild stimulant effects, but in larger dosages, it turns into a sedative. Curiously enough, Kratom is now illegal in most of the countries it originates from, while demand for it continues to soar in the West. Most consumers are familiar with Kratom tea as an alternative treatment or herbal supplement, and it’s mostly sold by online vendors, although you can also find it in some health shops. Despite its purported benefits, there are plenty of reports from people who’ve experienced scary side effects from taking Kratom tea and some people have even ended up in the emergency room. But, in most cases, Kratom has only shown side effects when taken in conjunction with other substances. On its own, Kratom tea is relatively safe and won’t cause you any adverse side effects. The good news is that Kratom tea is completely legal in the US. While the DEA wanted to add Kratom to its list of Schedule 1 substances, the agency changed its mind after receiving backlash from the public and lawmakers. Regardless, the plant remains illegal in many countries and can cause health issues when taken in abnormally high dosages or too frequently. While most people make Kratom tea by pouring Kratom leaf powder into a cup of boiling water, others prefer to brew its tree leaves. The reason for this is because Kratom tree leaves have high concentrations of the mitragynine chemical, which has a similar effect as opioids when it comes to easing pain. Kratom leaves are safe to chew as they are, or you can smoke them in dried form. Alternatively, Kratom can be purchased as a capsule supplement and taken orally. Kratom is widely used as a treatment for anxiety, stress, and pain. It’s recognized as an effective and safe alternative treatment for these and other ailments, especially for people who are looking for something different from the conventional healing methods. Other well-known effects of taking Kratom tea include boosting mood, improving sexual performance, increasing libido and overall endurance. However, studies are undergoing to prove these claims because there isn’t enough evidence to back them. We currently don’t have any scientific evidence of what happens to the human body when someone takes Kratom, or how the substance interacts and reacts with other substances. The FDA even published an announcement that there’s not enough proof of Kratom’s ability to assist in opiate withdrawal. This is large because most of the information we have on Kratom is based on anecdotal evidence instead of scientific study. So according to the FDA, we don’t know the potential side effects, dangers, and interactions that Kratom has with other drugs. Since Kratom is an unregulated form of alternative medicine with no scientific evidence to back it, you won’t find it in drug stores or pharmacies. Head shops are quite common and can be found in almost every city around the world in some form or the other. They’re usually tiny stores that sell products like supplements, music tapes, games, pipes, and other tobacco products. Most of the products sold at head shops are unregulated, so the police often raid them and 9/10 they’ll confiscate any Kratom they find onsite. That’s why head shops are often reluctant to stock Kratom in its original packaging and choose to hide it in different packages instead. As a result, most of the Kratom you’ll find in head shops is usually mixed in with other unidentified substances that may be harmful to your health. To top it off, they usually sell this substandard product at unbelievably high prices. First of all, there’s a lot of stigmas attached to Kratom, and it’s by no means a mainstream product. That’s why herb stores are hesitant to sell it, because they’re trying to maintain a positive reputation and Kratom may threaten that. Also, most herb stores don’t want to risk getting into legal trouble with the police because of one unlicensed product when they can sell plenty of other supplements legally. The best way to find good quality Kratom at a reasonable price is through reliable online vendors. However, it might be difficult to find one because there are a lot of online Kratom vendors to choose from and a majority of them aren’t dependable at all. 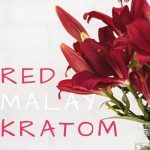 The easiest way to find a trustworthy Kratom vendor is to join an online forum of like-minded and experienced users who’ve been through their fair share of online vendors. There are also lists of decent online Kratom vendors to choose from on the Internet. Just make sure to put each online vendor you find through a vetting process, and this means checking if they have any positive reviews online. We already know through the available research that taking Kratom in large doses is never a good idea because it can lead to some nasty side effects. That’s why it’s always recommended to stick to the recommended dosages exactly and only take as much as you need to relieve anxiety, depression and chronic pain. No more, no less. Kratom tea makes it easy for you to do this and we’d advise starting with the lowest dosage possible if this is your first time. This means your Kratom tea should only contain about 2 grams of the herb at first. You will experience mild relief from this dosage despite the fact that it’s a small amount. As time goes by, you may increase your dose to 3 grams and so on to experience moderate relief. Once you’ve got the hang of the mild side-effects, you may move onto higher dosages of up to 15 grams to get the most out of your Kratom tea. Whatever happens, your dosages should never exceed 15 grams of Kratom. There are a few natural food stores that sell Kratom as a dried herb. But this is rare because there are a lot of misconceptions about this plant that have to be cleared up before all store owners can feel free to sell it. Your best bet is to source your Kratom tea from an online vendor. Luckily, there are hundreds of online stores that specialize in selling Kratom, and they often offer several different strains of the plant to heal some ailments. The amount of competition in the online Kratom market allows customers to get the plant at very affordable rates. Just keep in mind that the FDA does not regulate kratom, so there’s no telling which vendor sells the purest strains. A majority of users take Kratom through the regular “toss and wash” technique which involves taking Kratom in powder form followed by a healthy gulp of water. However, this method is not for everyone because Kratom has a very distinct bitter taste. That’s why it’s much easier to take it in tea form. How do you make Kratom tea? Well, you start by pouring one teaspoon of powdered Kratom leaf into about 2 to 4 cups of boiling water. As you may have noticed, Kratom tea requires more water to dilute the plant’s strong taste. 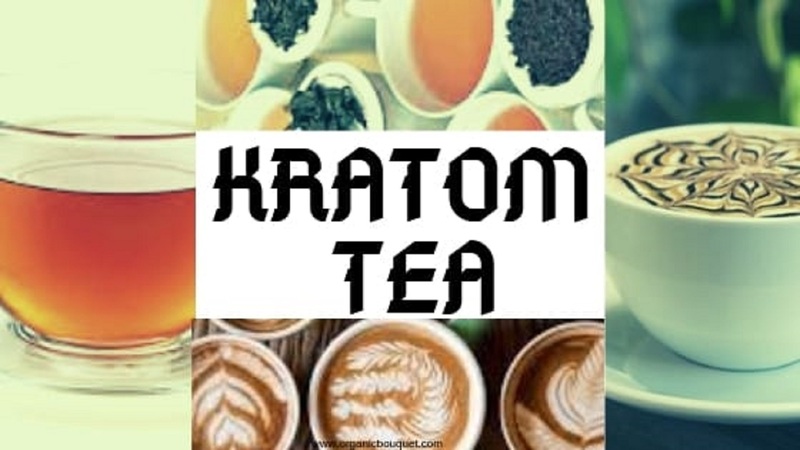 Please note that the Kratom tea should only be made using powdered leaf and not an extract as the latter will lose its powerful alkaloids when poured into boiling water. Now, stir the powder until it’s fully absorbed into the water. When you’re done there shouldn’t be any powder clumps left. For the best results, stir in some honey or an artificial sweetener of your choice. However, honey is the most effective at eliminating the plant’s bitter taste. Allow the mixture to sit and cool for about 15 minutes while making sure to stir every few minutes to mix everything in full. Once the mixture has cooled down, let the powder settle to the bottom of the container before you pour it into your drinking cup. Once it’s in your favorite teacup, you may add more honey to taste and make sure to drink the whole bowl. As we mentioned above, there are several different ways to take Kratom. Aside from drinking it as a tea, you may take it in capsule form which is a great way to eliminate the plant’s side effects, and there’s no preparation needed either. Kratom powder is another popular method of consumption, but it can be quite time-consuming. Another advantage of Kratom capsules is that they’re easy to store and you can take them with you when traveling. Just make sure to drink plenty of water after swallowing a Kratom capsule so that it travels to your bloodstream faster. Last but not least, make sure only to take your Kratom capsules on an empty stomach. What’s the difference between Kratom tea and eating Kratom powder? This is a favorite question, and some people go as far as to imply that the two consumption methods must offer different levels of effectiveness. According to available feedback, Kratom tea works faster because it’s a liquid that can reach the bloodstream faster. Regardless of how you choose to use your Kratom, make sure to take it in the right dosage. We’ve already established that Kratom has a questionable legal status in most countries and some territories have even banned it. With that said, Kratom is legal in the US and it has been classified as an alternative medicine by the FDA. But, it’s still unregulated, and the DEA even wanted to classify it as a Schedule 1 controlled substance at some point. That’s why it’s important for consumers to stay updated on the research and debates that are being conducted on Kratom. Over time, they might contribute to its regulated status which will change a lot in terms of Kratom’s availability, etc. Kratom has the potential to affect the brain in the same manner as opioids and stimulants, but this only happens when it’s taken in certain dosages. You see, Kratom contains a mixture of 7-hydroxymitragynine and mitragynine, both of which can influence the brain’s opioid receptors. This can lead to feelings of relaxation, reduce pain and even a bit of drowsiness. There’s a lot of anecdotal evidence about Kratom’s health benefits, but unfortunately, there isn’t enough scientific data to back these findings. At present, a certain level of uncertainty lingers when it comes to the correct dosage, side effects and benefits of Kratom due to this lack of empirical data. Say what you will about Kratom, but the results don’t lie. There are countless accounts of people who report that Kratom has helped them to overcome all kinds of ailments.